In a medium bowl, cream the melted butter and sugars until well blended. Beat in the vanilla, egg, and egg yolk until light and creamy. Mix in the dry ingredients until just blended. Stir in the chopped chocolate. Refrigerate the dough for at least an hour. When it's time, preheat the oven to 325F. 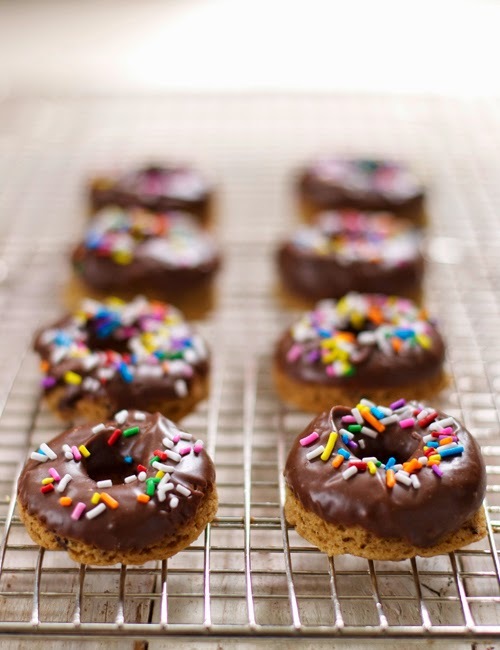 Grease a standard mini donut pan . Using your hands or a small spoon, scoop about a 1 inch round of dough. Press it into the greased donut pan, about halfway full. Repeat for the remaining little donut spots. Bake for 10-13 minutes in the preheated oven, or until they begin to set and turn a golden brown around the edges. Cool in the pans for a few minutes before transferring to wire racks to cool completely. To make the glaze, melt the chocolate and butter on low power in the microwave (or in a double boiler). Whisk in the icing sugar, and add 1 tablespoon of milk at a time until smooth and glossy. 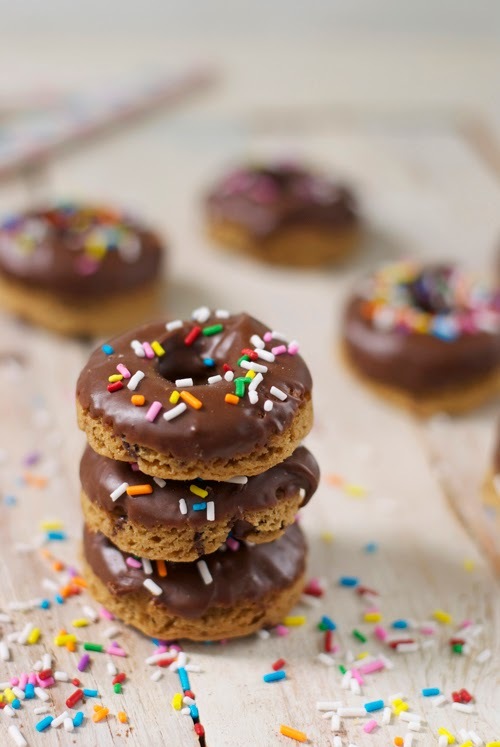 Dip the donut cookies into the glaze, and allow to dry on a wire rack over parchment. 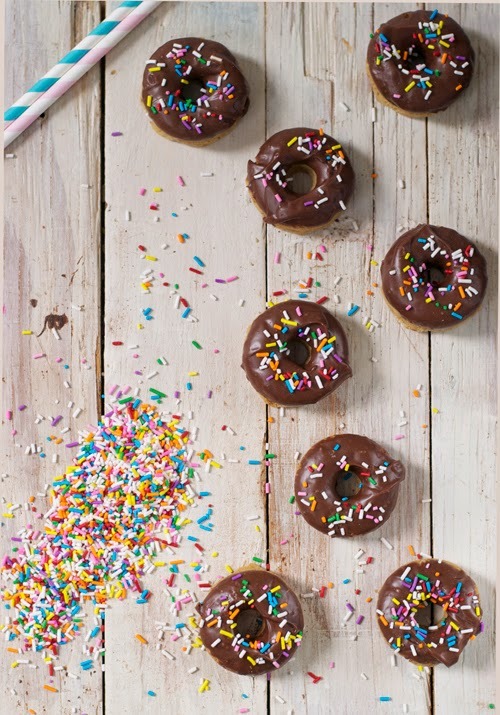 Sprinkle with sprinkles and enjoy! *This post contains affiliate links to stuff I looooove. Whoo!